"Don’t you think you’re being a little melodramatic?" With all of the hypersensitivity to all things involving sexual misconduct in Hollywood, it is a wonder that the media's spotlight has not focussed on Woody Allen. His personal life has provided the media with as much drama as many of his films. Even though his own dealings are less of a focus, he still manages to incorporate an autobiographical aspect into each of his scripts. He may not act in most of his modern films, but this does not mean that he does not incorporate his persona into cinema. This writing vehicle has worked at different degrees of success from Owen Wilson in Midnight in Paris to Jesse Eisenberg in Cafe Society, but with his latest film, he seems to stretch his larger than life personality across multiple characters. For all of us who wonder about the residents of the flats above the shops along the beachfront, Allen opens the door to the tragic side of humanity in these unique dwellings in Wonder Wheel. Narrated through the words of Mickey (Justin Timberlake) the local lifeguard who is an aspiring playwright, he introduces Ginny (Kate Winslet) and Humpty (Jim Belushi) who live above the amusement park on the boardwalk. The limits of the tumultuous relationship between the carousel operator and his waitress wife are burst open with the surprise arrival of Carolina (Juno Temple), Humpty’s estranged daughter, who is on the run from the mob and Ginny’s young son who struggles with pyromania. During the heat of summer, the tensions in the small apartment rise as each character's various secrets begin to affect each family member. It is usually easy to pick out the neurotic characterization that represents the acclaimed director in most of his work, but this venture on the Jersey Shore is harder to identify. The melodramatic style of Mickey’s storytelling spreads the anxiety of Allen’s life with each of his lead characters. The choice to use an over-the-top manner of writing and acting plays more like a stage production, which makes his neurosis more prominent and less entertaining. Allen usually partners his psychological turmoil with a touch of humor, but the film's production contains all of the drama with no comedic release. There is a beauty to the staging and lighting that show the skills of this seasoned storyteller, but it cannot make up for the poor execution of character development. With a background that seems two dimensional at times, the whole film has a bizarre feeling that each character is working independently of everyone else on the screen. Even with the narrator as the guide in the journey and a means of explaining their part in the drama, all it needs is a spotlight on each actor as they play their role. It was good to see Jim Belushi on screen and Winslet is tragically captivating, but much of the dialogue does not lead them to have any connection. 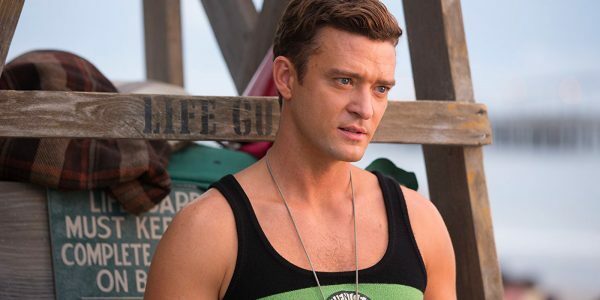 Timberlake and Temple bring a youthful beauty and jaded innocence to the movie, but each role lacks the necessary depth to lift the story above the melodrama. For the fans of Woody Allen or plays by the celebrated playwright, Eugene Oneil this is a lesson in shedding light on the darker elements of the human psyche, and this is the film for you. Wonder Wheel is an experiment for the controversial director that does not offer much more than ingenuity in the lighting of its stars and will most likely fail to connect with the average moviegoer.